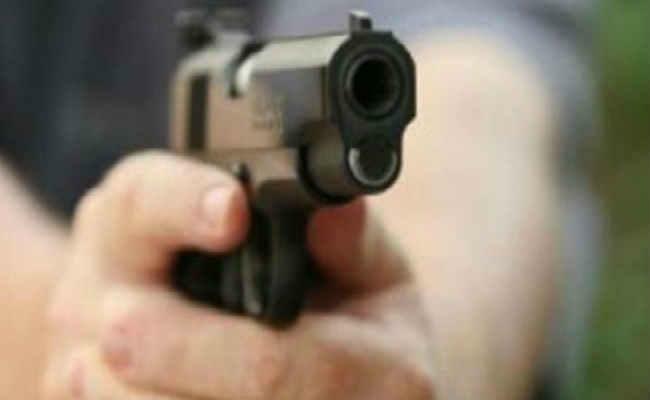 Meerut, Sep 14 : Armed criminals shot dead a BSP leader Guddu Choudhury in a busy market area of Mawana road in the city on Thursday night. Police sources here on Friday said that four criminals attacked Guddu, who tried to safe himself by entering an ATM counter. But the criminals went inside it and shot him dead. Though police was nearby but they did not came to save the BSP leader. Sources said Guddu was accused in three murder cases and came out of jail last month on bail.